I have fond memories of German School and the education I received there has proven tremendously helpful as I begin my professional career. In early 2008 I joined the presidential campaign of then-Senator Barack Obama. The German language skills that I learned and were reinforced at German School every Saturday afforded me the opportunity to travel to Berlin in July 2008 to prepare for the candidate’s historic visit to that city. Looking down at the crowd of over 200,000 from the top of the Victory Column was truly an awe-inspiring moment and I consider myself fortunate to have been a part of it all, due in no small part to my German language skills. At the end of March 2009, I returned to Germany for the President’s first international trip since his election, which included a stop in Baden-Baden where he attended a NATO leaders’ summit. More recently, after joining the Obama administration full-time, I was able to attend the 2010 World Economic Forum in Davis, Switzerland. 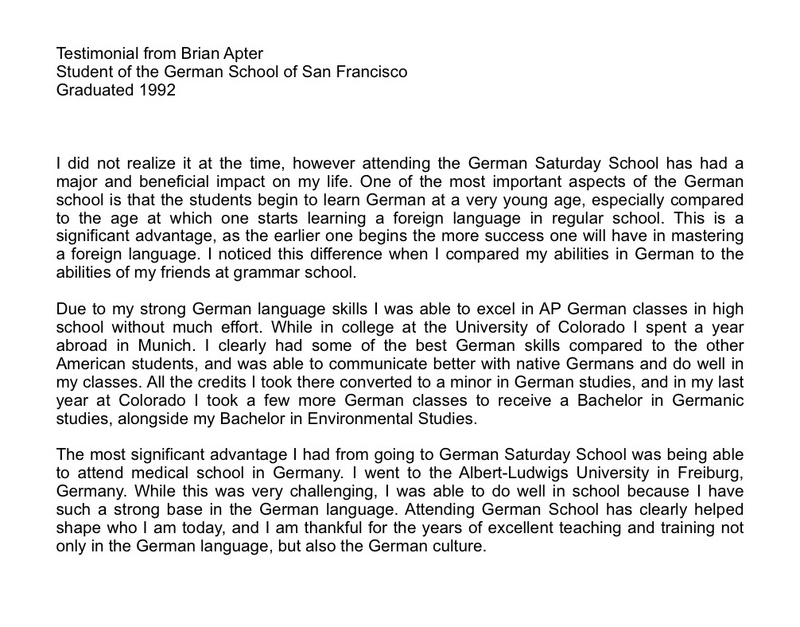 Throughout all of these experiences my German language skills proved to be an incredible asset, especially when working as closely with representatives of foreign governments, law enforcement agencies, locally-engaged US Embassy staff, and event organizers as I did. 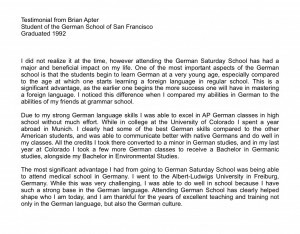 In addition to the German language instruction, I am finding that the consistent language reinforcement I received every Saturday at the German School has been the key to my ability to successfully maintain my German fluency, which continues to open doors.